CHRIST THE CENTRE OF THE BIBLE. Revelation Section 4. The Lord Jesus Christ is the Chief Justice of heaven`s Supreme court. His decisions are final and beyond His verdict there is no other court of appeal. He exercises the final prerogative that is essential to judgeship; He is able to kill and to make alive. We see the character of this righteous judge as shown as the Lamb, standing on the heavenly Mount Zion. He is the victor over the enemy and pronounces the coming judgments - to life and to death. The earth is then ready to be reaped - those to life and those into God`s great winepress, Armageddon. Christ then comes in power and great glory with His angelic army to deliver Israel and bring judgment upon the rebellious. After the world`s armies are dealt with the Lord, Israel`s Messiah then goes to them and reveals Himself. Eventually their mourning turns to joy, (the wedding feast) and they go into the millennium to rule the nations for a thousand years under Christ`s rulership from heaven. Finally Satan who had been bound in the pit is loosed and gathers the nations again surrounding Jerusalem. God sends fire down from heaven and devours them. Then we read that there will be the Great White Throne judgment of those who are not in the book of life. A new heavens and new earth are created and the New Jerusalem comes down out of heaven to rule over the earth. This has been promised to the Old Testament saints and is ruled over by the twelve Apostles. 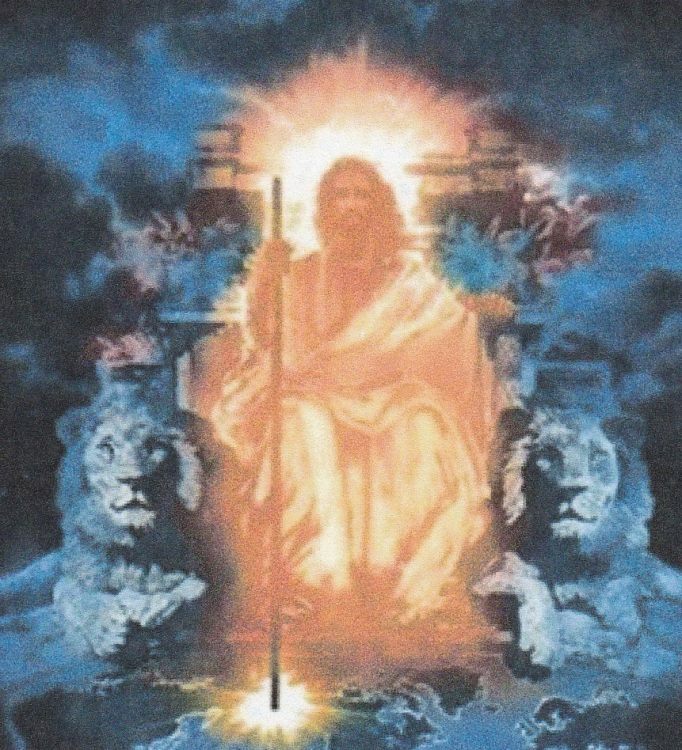 The Lord is its King and High Priest for His authority, (throne) is there. The blessings also within the New Jerusalem are shown as a `river of life,` bringing Christ own divine nature to refresh and energise the people; and a `tree of life` with its twelve fruits of Christ`s life of service, enabling the community to function and serve, being fruitful in every good work. Previous entry CHRIST THE CENTRE OF THE BIBLE. Revelation Section 3.